Basic summary: Two gender-specific, generously cut shorts to help you transition from legging weather to warm, summer days. Now that spring has sprung and daylight savings time is upon us, it’s time for your legs to come out from under the layers they’ve been shivering in all winter. Our California test crew is one step ahead in this process, and we’ve been using a couple of gender-specific models that are ideal for spring training. Both are comfortable and durable for high-mileage training, but generously cut to provide more coverage for larger runners or those who want a bit more insulation during unpredictable spring conditions. The Chaser is a longstanding product line for Brooks, with several bottom garments in men’s shorts and women’s shorts/skort styles with varying inseam lengths for your individual preference. The Chaser Skort has a height of 12.5” measured from hip to bottom seam; this is somewhat oddly listed as the inseam length on the product page. It features a soft, thin interior boxer brief-style liner with a true 3” inseam, and a flat waistband with increased spandex content to stay securely in place. The overall feel is super comfortable, and the skort provides full range of motion when running at high speeds or on steep terrain. All of the fabric components – exterior panels, waistband and interior liner – feature DriLayer fabric that wicks moisture easily and dries quickly after activity. The interior lining is soft against the skin and provides light compression, but not quite enough to stay firmly in place, as our testers had a bit of upward drift. Both the interior liner and external panels are soft to the touch, and smooth and comfortable enough for all-day general activity. The 4” wide waistband has good elasticity to stay secure without drawstring adjustments, but be sure to check the size guide to ensure the proper fit for your waist size. Storage on the Chaser Skort isn’t extensive, but it’s cleverly arranged. 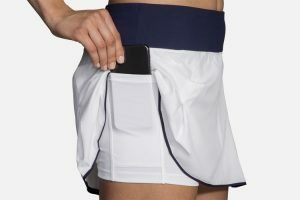 A sweat-resistant waistband pocket is large enough to stash a key, credit card, or gel, and a thigh pocket on the lateral side of the right interior liner is large enough to stash a phone. This thigh pocket isn’t sweat resistant, so it’s better suited for pre- or post-workout storage than under heavy exertion. The Brooks Chaser Skort is available at www.brooksrunning.com. Path Projects is only producing men’s apparel at this time, and is distinguishing itself with a small lineup of products that combine outstanding comfort with performance function and durability. These new shorts – the full product name is a bit of a tongue twister, so we’ll just call them the Prospects – are a good option for larger runners, with extra room and length compared to traditional running shorts. They are also a great option for gym sessions or CrossFit-style workouts, and have numerous storage areas to carry your valuables if you’re just knocking around town. The inseam length is 8” which is somewhat unusual in this category (Patagonia’s Nine Trails is the most common comparable model), but it’s greatly appreciated by taller runners who like a bit more coverage without the baggy hoops-style look of a 9” short. Our testers found the fit true to size, but if you’re a particularly tall and skinny dude, you may consider sizing down slightly due to the roomy cut. 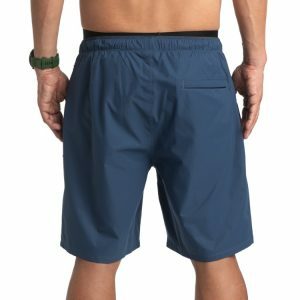 A key construction element of these shorts is the use of a new Toray Prime Flex 2 (where the “PX2” in the product name comes from) 100% polyester fabric that has impressive performance capability. It’s a midweight fabric composed of spiral yarn that allows extensive mechanical stretch and good elasticity, and absorbs less water than more common elastic materials. It also happens to be an ecologically friendly fabric, produced primarily from corn products. The Prospect shorts have good breathability for warm weather and a DWR finish to provide some protection in wet conditions. A strong elastic waistband is chafe-free against the skin, and a drawcord closure keeps the fit locked in even with high intensity activity. Like all Path Projects shorts, the Prospect PX2 is produced without an interior liner. The company makes a variety of base liners that are sold separately; they are boxer-brief styles that range from 3-8” inseams, and vary in price from $26 to $32. 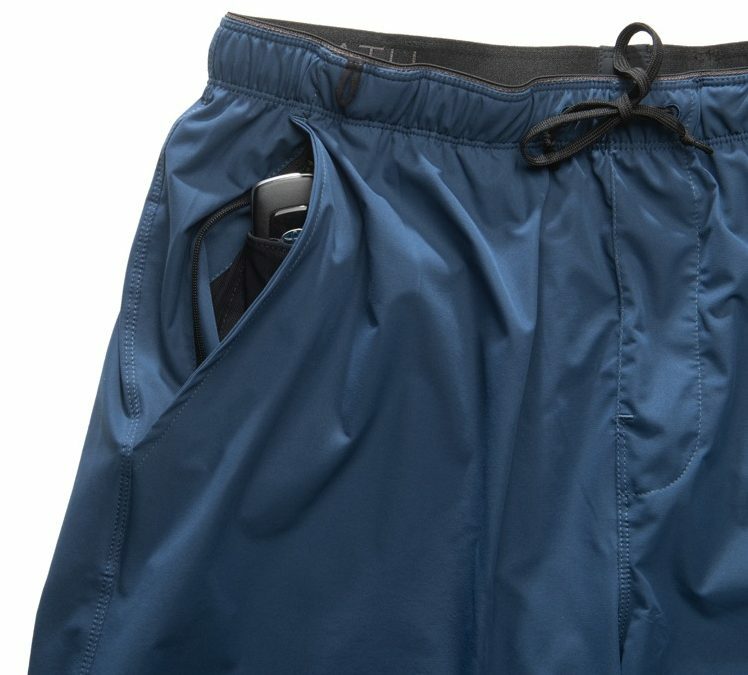 Our favorite is the Tahoe CL 5” base liner, which goes far enough down the thigh to fully prevent chafing but doesn’t stick out the bottom of the shorts like an 8” boxer would. You can use your own base layer with these shorts also. We even tried them with brief-style underwear, and they were perfectly comfortable as long as we had a little bit of Squirrel’s Nut Butter on board. The Path Projects Prospect PX2 shorts are available from www.pathprojects.com.